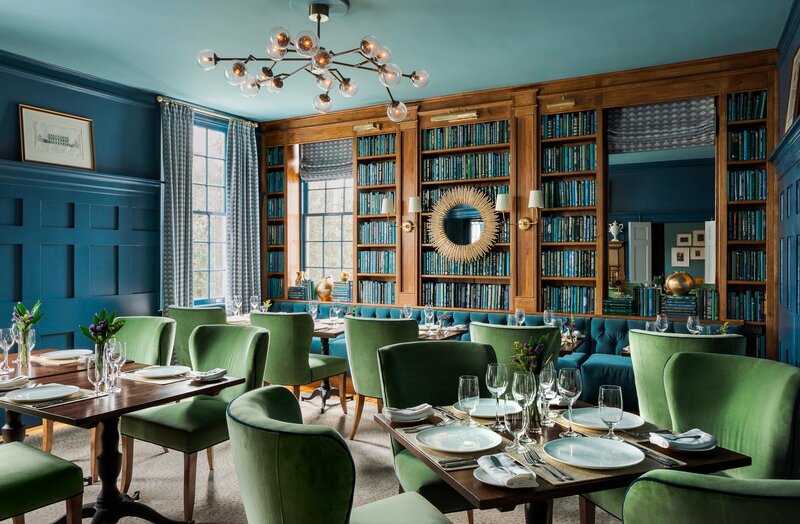 The Library, which serves as a dining room at the inn, was given a bold color scheme. The walls and paneling were painted in Farrow & Ball’s Stiffkey Blue, and the ceiling was given a lighter shade. The Dallas Chandelier from Arteriors adds a sleek, contemporary edge to the space.